Business customers who are looking for a quick, efficient and inexpensive way to clear their office or workplace of any unwanted items can take full advantage of our office clearance service in London. We have the technical capacity and manpower to quickly collect and dispose of any type of rubbish or discarded items littering your office without any hassles or costly delays. 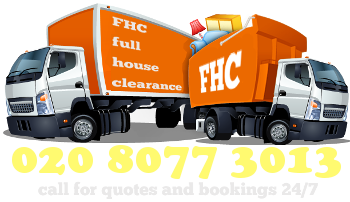 Our office removals area just as highly convenient and very flexible as our house clearance service in London. We will schedule your business premises clearance for a suitable off peak time, in order to have everything wrapped up and ready to go, with no disruption to your customers, staff duties and daily business. We also provide the most affordable office clearance London business customers will be quite pleased with our moderate service fees, and our cost efficiency, no matter how basic or elaborate the task at hand. Being a professional, fully licensed clearance company we will be more than capable to collect and dispose of any redundant or irreparable electronics scattered across your office. Naturally, the collection and disposal of items such as old computers, fax machines, photocopiers, phones, AC units, servers, water coolers etc. is fully compliant with the WEEE Directive for dealing with hazardous and nonhazardous electronic waste. As expected, all salvageable electronics and machinery will be given for reuse. Discarded pieces of electronic equipment will be given for disassembly and recycling by respective plants and facilities. 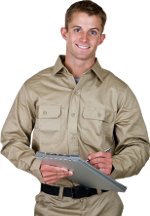 If necessary, we will provide customers with all applicable notices and paperwork, verifying proper disposal of all items collected from the office. Our London office clearance package will also deal with general office waste such as old furniture pieces, discarded maintenance supplies, leftover materials and items from recent renovations, as well as anything else you no longer need. When it comes to efficient, swift and hassle-free office junk clearance London customers can be sure to receive the right service at the right price. Our attentive and well organised clearance teams will have everything wrapped up and ready to go within the specified amount of time, with no margin for error or costly delays. Our cargo vehicles are of the right size and capacity, so that we can take everything away in one go, without additional timewasting or having to come back again to load the rest of the items you want to dispose of. The office waste clearance in London is available for booking seven days a week.